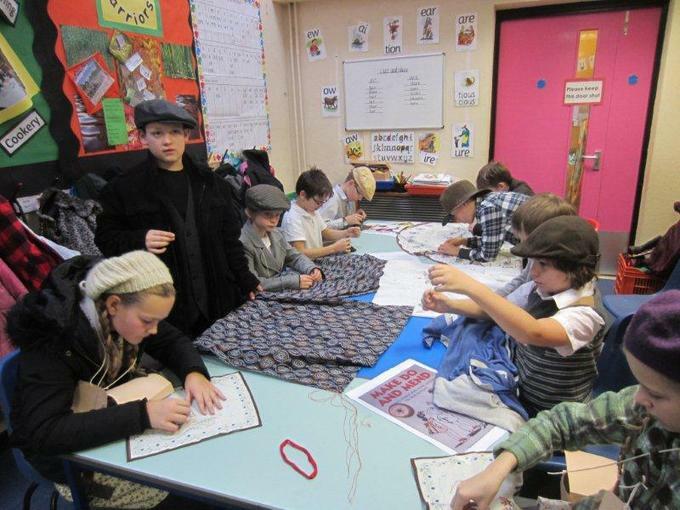 On Wednesday 26th November 2014 the children from Lewannick and Callington joined forces for a special WW2 day. The children from Callington, dressed as evacuees, boarded the coach from Callington and waved goodbye to their school as they travelled to Lewannick. 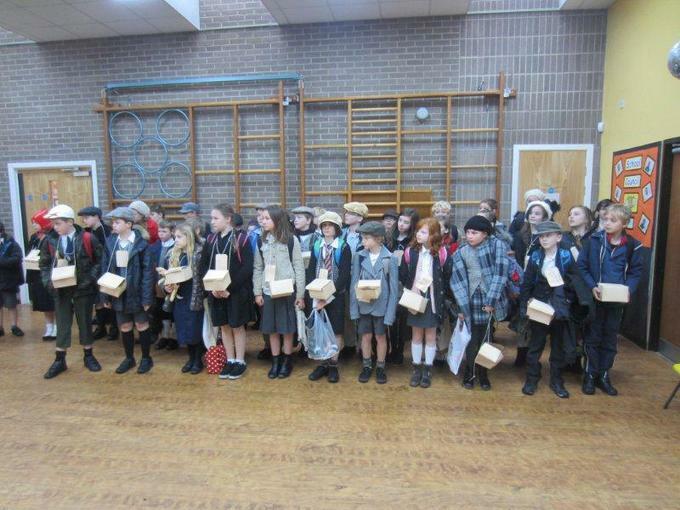 When they arrived, the Lewannick year 5 and 6 pupils were in role as host families and each group selected some evacuees to join their family. 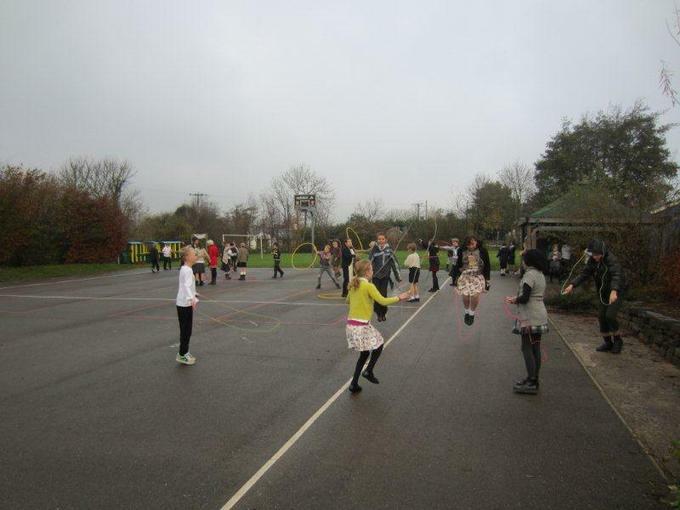 The evacuees then had to complete chores while some played playground games. 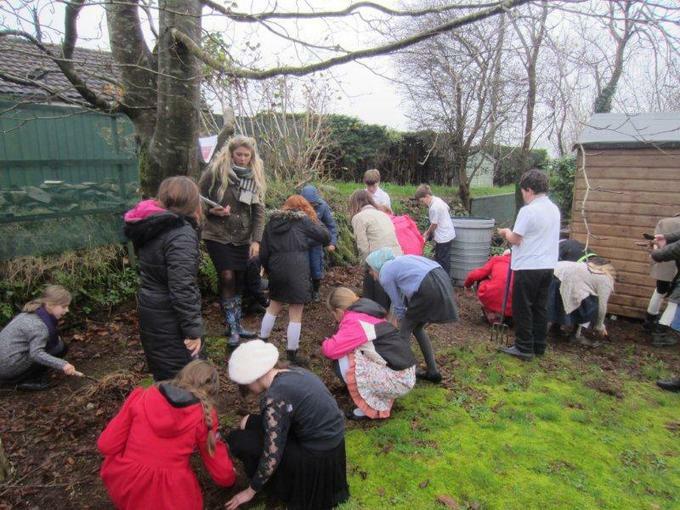 The rest of the day involved a variety of wartime activities such as singing, digging for victory, news reporting and making do and mending. 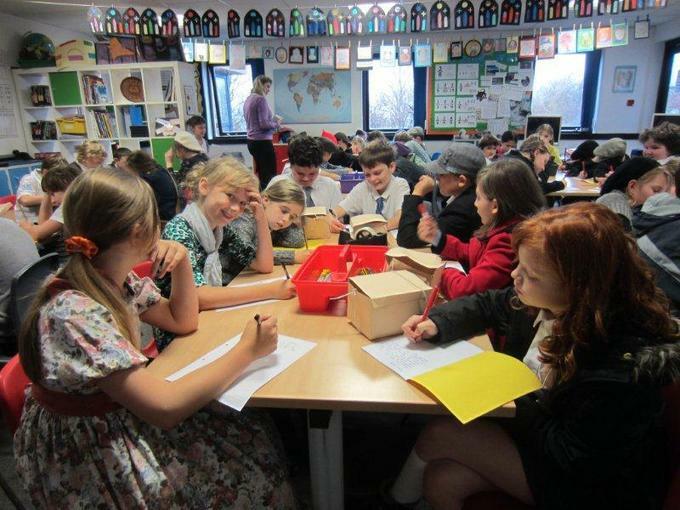 The day was a great success and a brilliant opportunity for children from the academy partner schools to collaborate together and learn about this very important time from British history.